The bill was also aimed at averting sanctions from the World Trade Organization if the country does not do away with quantitative restrictions on rice and convert to tariff protection. MANILA, Philippines — The Rice Tariffication Bill will not only stabilize prices and supply of the staple, but also save tons of palay from wastage while helping boost farmers’ productivity, its authors in the Senate said. The Senate approved on Wednesday the measure, principally authored by Sen. Cynthia Villar, which amends Republic Act 8178 or the Agricultural Tariffication Act by removing import quotas on rice and replacing it with a 35 percent tariff. President Duterte has certified the measure “urgent” as the government continues to grapple with inflation woes, much of which was caused by high prices of rice and other food items. The House of Representatives already passed its version last August. Other authors of the bill include Senate President Vicente Sotto III, Senate President Pro Tempore Ralph Recto, Senate Majority Leader Juan Miguel Zubiri, Senate Minority Leader Franklin Drilon and Senators Grace Poe, Risa Hontiveros, Sherwin Gatchalian, Francis Pangilinan and Joel Villanueva. Under the bill, a 35 percent duty will be imposed on imports coming from the Association of South East Asian Nations member states and 50 percent for non-ASEAN member states. 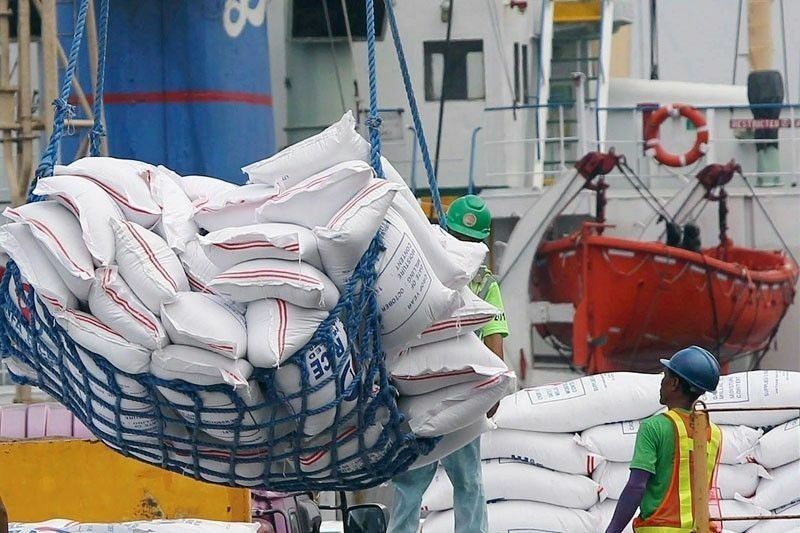 Economic managers earlier said liberalizing rice imports will reduce the retail price of rice by P4 to P7 per kilo and reduce inflation rate by at least 0.4 percentage points. Proceeds from duties collected under the rice tariffication regime should be funneled into the improvement of post-harvest facilities like dryers in order to save one-sixth of the national palay output lost to poor after-harvest handling, Recto said. He added that an estimated 17 percent of the country’s yearly palay yield is lost to absent or poor post-harvest facilities and practices, resulting in a wastage of about two and a half million metric tons of rice. According to Recto, the volume of rice lost due to poor palay harvesting, threshing, drying, milling and storage is enough to meet the annual needs of 12 million Filipinos or nearly the population of Metro Manila. “Theoretically, we can forgo the need to import rice if we can lessen by just one-third our post-harvest losses,” Recto said. “We are also seeing this as an opportunity to really push for a mechanized and modern way of farming, which will help us achieve our targets toward food security and self-sufficiency,” Villar said. The bill also creates the Rice Competitiveness Enhancement Fund (RCEF) consisting of an initial appropriation of P10 billion sourced from the national budget until such time that there is enough collection from tariff and rice production competitiveness in the Philippines has been achieved. Funding for succeeding years will come from the tariff revenues for rice importation. Half of the fund will be used as grants for farmers while 30 percent is allocated for modernization and the rest for training and credit.